Hey there, just thought i would give an update on or pumpkin and squash patch. 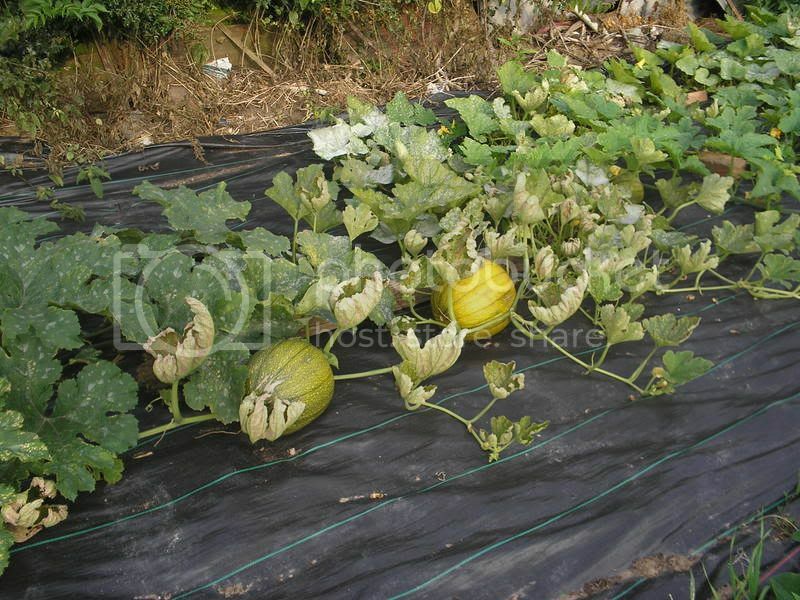 With this warm weather the plot seems to have raced away and now from 5 plants we have around 20 fruits which have set. How are your doing? more fruits per plant? less? arw they rotting off, or have you even harvested a few yet. Other new this week. More gladioli, runner and dwarf beans, too many courgettes to know what to do with and sweetcorn in flower. Well I thought I was, as I usually have one each for the village primary school, the guides, the youth club disco and a couple for ourselves, but they are refusing to set this year. We've got three fruits now, they are about 6" diameter and still green. Never grown them before so quite pleased. We planted Spooktacular, because we liked the name! notice the leaves are turning up on a few plants,all i'm feeding them with is comfrey tea dont know realy whats happening,any ideas ? I'm also feeding mine with comfrey however the same things happened to mine. the leaves have gone yellow and shrivelled. have laid off feeding to see if theres any improvement. All the sites say that pumpkins need a good feed of nitrogen rich liquid. also remember a programme featuring twins who grew show pumpkins fed on comfrey, they didn't have any problems. 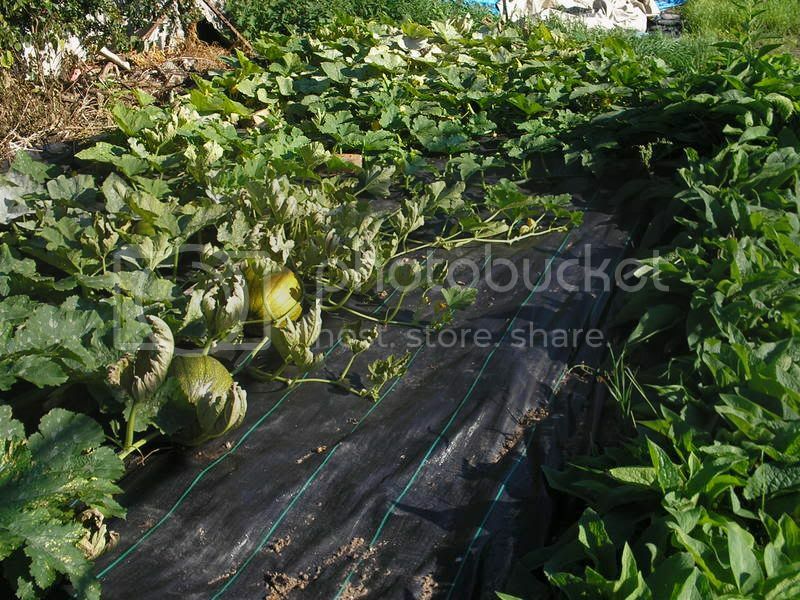 Don't grow pumpkins but comfrey liquid is a better source of potash than it is nitrogen. some of the plants look great its just this one in the pic they have all had the same treatment :? Page created in 0.322 seconds with 36 queries.